Introduction and objectives: Carbon dioxide (CO2) is a non-nephrotoxic contrast media. Due its advantages and to the lack of dedicated CO2 delivery system in some hospitals, homemade CO2 delivery systems have been developed in several institutions. The authors describe a CO2 “homemade” delivery system developed with resources available in the author’s hospital and present the preliminary results of its application. Material and Methods: A disposable aluminum cylinder containing 99.9% pure CO2 is connected to a laparoscopic tower. In the connecting tube, between the laparoscopic tower and a 50 mL syringe there is a filter. The syringe is connected to the connecting tube and to the diagnostic catheter with three three-way stopcock fixed together in line. Results: From October 2015 and February 2016, six phlebographies, in four patients with dysfunctional arteriovenous fistulas were performed. The procedures were: angioplasty at the cephalic arch stenosis (one intervention); angioplasty at multiple focal stenosis at the basilic vein (two interventions) and angioplasty at multiple focal stenosis at the basilic vein (three interventions). A case of cerebral gas embolism was recorded. Conclusion: The delivery system we use is useful to maintain the patency of arteriovenous fistula in pre-dialysis patient. However, CO2 injection rate should be reduced, to avoid cerebral gas embolism. 1- Heye S, Fourneau I, Maluex G, Claes K, Kuypers D, Oyen R. Preoperative mapping for haemodialysis access surgery with CO2 venography of the upper limb. Eur J Vasc Endovasc Surg 2010;39.340-345. 2-Kawasaki D, Fujii K, Fukunaga M, Masutani M, Nakata A, Masuyama T. Safety and efficacy of endovascular therapy with a simple homemade carbon dioxide delivery system in patients with iliofemoral artey disease. Circulation Journal 2012 doi: 10.1253/circj.CJ-11-1382. 3-Cho KJ. Carbon dioxide angiography: scientific principles and practice. Vasc Spec Int 2015; 31(3): 67-80. 4- Gahlen J, Hansmann J, Schumacher H, Seelos R, Richter GM, Allenberg JR. Carbon dioxide angiography for endovascular grafting in high-risk patients with infrarenal abdominal aortic aneurysms. J Vasc Surg 2001 (33): 646-649. 5- Funaki B. Carbon dioxide angiography. Semin Intervent Radiol 2008; 25:65-70. 6- Madhusudhan KS, Sharma S, Srivastava DN, Thulkar S, Mehta SN, Prasad G et al. 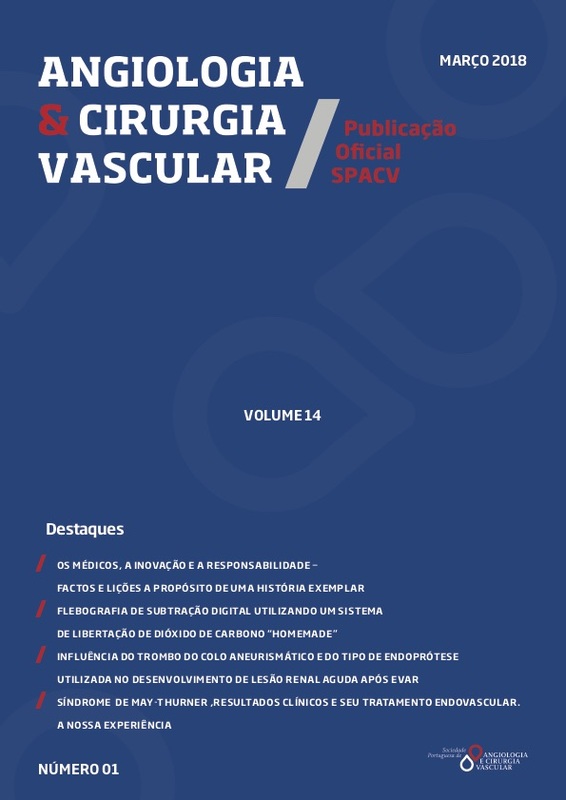 Comparison of intra-arterial digital subtraction angiography using carbon dioxide by “home made” delivery system and convention iodinated contrast media in the evaluation of peripheral arterial occlusive disease of the lower limbs. Journal of Medical Imaging and Radiation Oncology 2009 (53):40-49. 7- Caridi JG, Hawkins IF, Klioze SD, LeVeen RF. Carbon dioxide digital subtraction angiography: the practical approach. Techniques in Vascular and Interventional Radiology 2001; 4 (1): 57-65. 8- Caridi JG, Stavropoulos S W, Hawkins IF. CO2 digital subtraction angiography for renal artery angioplasty in high-risk patients. AJR 1999 (173) December: 1551-1556.